Read this Lipozene review to see if this weight loss pill really can help you reach that elusive target weight! Not sure which diet pills really work and want to know if Lipozene will work for you? This Lipozene review will answer your questions. We’ll look at Lipozene reviews from customers to see what they say, examine Lipozene ingredients and uncover the truth about Lipozene side effects. Warning! Dear Lipozene reader: Click here to see why this fat burner did NOT make it to the list of Top 5 Fat Burners for women. Lipozene is a weight loss pill from the Obesity Research Institute LLC. It’s designed to be taken as a supplement to reduce body weight and fat. It claims it will help you achieve your weight loss goals, even if you continue to eat your favourite foods and don’t change your exercise routine. But how does it work and is it the right product for you? Let’s take a closer look to find out more. There are no warnings on the product information to say any particular person shouldn’t use it, so realistically it’s for anyone! If you look at the sites selling Lipozene, it targets women more than guys; all the terminology and pictures have a feminine theme. Even the Lipozene customer reviews were mainly written by women, although I did find some from men when looking on the Lipozene reviews Amazon page. However, there seems to be nowhere specifying it’s not for men. Who Should Not Use Lipozene? Doing this Lipozene review had me scouring the web; I checked out other Lipozene reviews for 2018 and hundreds of customer comments. I didn’t find anywhere that gave warnings for people to avoid using it, apart from a medical warning; if you’re taking medication, you should consult your physician first. We recommend that if you’re using a diet supplement, you need to have some control over your diet and to be doing some exercise if you actually want to see any benefit from it. You’re not buying a miracle in a bottle; you can’t sit on the sofa and gorge on junk food and still expect it to work! I mentioned above in this Lipozene review that the active ingredient is glucomannan. This ingredients is designed to keep you feeling fuller for longer, helping to reduce your calorie intake and lose weight. Glucomannan is a water soluble fibre that has the amazing ability to absorb water. When you swallow that magic pill for weight loss, once it hits the stomach it has the amazing ability to absorb water and expand. 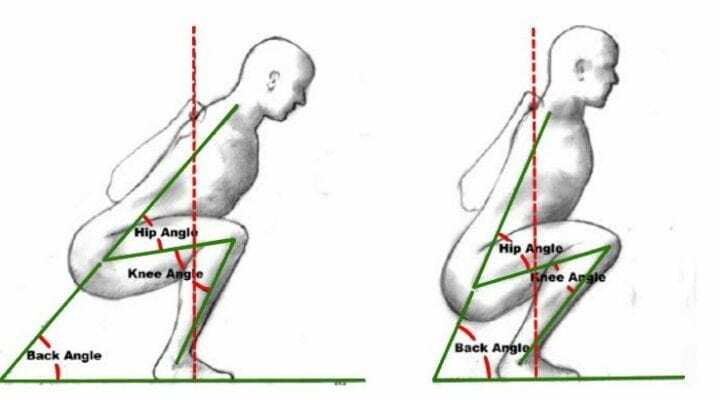 This causes food to leave the stomach at a slower rate. Break open a glucomannan capsule and empty it into a glass of water; watch it absorb all the water and turn it into a gel! But how does it work for weight loss? Glucomannan itself has a very low calorie content. When ingested, it expands and gives the stomach a feeling of fullness. This is why you are recommended to take it 30 minutes before your meal. It delays the emptying of the stomach, which makes you feel fuller for longer. Plus, like other soluble fibres, it reduces the absorption of fats and proteins. What else do we need to know about it? What makes this better than other weight loss pills? Want to see the ingredients that actually work? Visit our ultimate guide to Fat Burners here. The ingredients are very simple, as you can see. The main ingredient is a proprietary blend of amorphophallus konjac, commonly known as glucomannan. Compared to many other weight loss supplements, the ingredients are quite simple. But are they effective enough to achieve those weight loss results you want? We took this Lipozene review a step further and compared the ingredients with those that you should actually find in a good weight loss supplement, to see how effective it really is. For a weight loss supplement to be effective, it needs to contain certain ingredients. Below is a list of crucial ingredients a good weight loss supplement should contain; I have indicated how Lipozene compares. So, how effective is Lipozene? As you can see, the only ingredient it contains from the list is glucomannan. Glucomannan is a great ingredient and effective for weight loss. How can it compare to the leading supplements out there, with all the other essential ingredients missing? Let’s keep going with this Lipozene review to see what else we can find. We know what the ingredients are, and we know Lipozene is made from natural ingredients. The only statement from the company about side effects is possible stomach discomfort. So, are there any other side effects? Is this product going to affect our health in any way? From the research of this Lipozene review, I trawled through hundreds of customer reviews to see what people are saying about it. I came across several Lipozene complaints about side effects. People complained of diarrhoea, heartburn, vomiting, bloating and fainting. There are also some concerns that pills containing glucomannan may be unsafe. It could potentially cause blockages in the body if the pills expand before reaching the stomach, or if they pass through the stomach whole and then expand. When looking through some comments about lipozene we noticed that there were many complaints. Some of these complaints may really drive people off from buying this product, because some of them are bad and should be shown to potential buyers. First of all when looking at this product on Amazon we noticed that it has A LOT of 1 star reviews. That cannot be a coincidence there must be something wrong with the product. So we dug a little deeper and found some customer lipozene reviews that explain exactly what is going on. This may be a diet supplement, don’t get very far from a restroom.. Thats all i done for 2 days while taking the pills as directed..
used as directed. drank plenty of water. Caused major bowel/stomach pains and issues. Stopped taking it and took 5 days to recover. tried it again in case it was something else, same exact thing happened. Will never take it again. After all this product contains only 1 ingredient in a proprietary blend and an ingredient that simply isn’t effective to promote fat loss. Are people using this product seeing any good results from it? Doing this Lipozene review took me on a journey of discovery. After looking at hundreds of Lipozene reviews from customers, the majority appeared unsatisfied with the results. However, there were some positive comments. In fact, of the Lipozene reviews Amazon customers wrote, 49% rated it just one star! Some were seeing weight loss results, but this seemed to be from going to the bathroom too often, rather than taking the pills! Is that really the best way to lose weight? Still want to give it a try? You can purchase it online, from sites such as Amazon, Walgreens and eBay. Lipozene is also available in various stores, such as Walgreens or Walmart. For us, it just doesn’t cut it and this is not one we’re recommending. You only need to read what this Lipozene review uncovered about the product to see why. It has a great ingredient in glucomannan, which is proven to help with weight loss. However, this is the product’s only active ingredient that will help you achieve your weight loss goal. Why not save your money?Just buy a glucomannan supplement and save a whole heap of cash! There are also some side effects from Lipozene which are likely to leave you feeling uncomfortable and have you on standby for the bathroom. Look at the ingredients list of a good weight loss supplement; you can see for yourself that Lipozene is missing all except one ingredient. So, how can it be an effective weight loss supplement? How can you even compare it to the top weight loss supplements that people are seeing amazing weight loss results with? Customer reviews were on the whole quite poor with 49% of Amazon customers only rating it one star. The price is fairly cheap compared to other weight loss supplements, but you only get 15 servings in each bottle. If you want to lose your cash and keep your weight, go out and buy it! Take 2 capsules with at least 8 oz of water 30 minutes before a meal, up to 3 times a day. You can buy Lipozene for between $20 – $30 per bottle and it contains 15 servings. Reported side effects include: diarrhoea, bloating, vomiting and heartburn. There have also been concerns raised about the potential for causing blockages if it activates before reaching or after leaving the stomach. 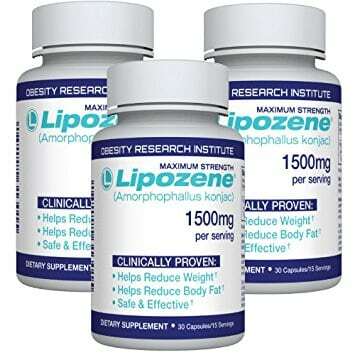 It’s available from the official website as well as online from eBay, Amazon and Walgreens; some retail stores also stock Lipozene. Some customers report that they have seen good results; however, many seem dissatisfied with the results. If you purchase from the official website or TV, a 30 day money back guarantee is offered. It doesn’t state how long to take before you see results; although if it offers a 30 day money back guarantee, I guess you should start to see results within this time. No, it only appears to be available in the United States and Canada.